McCain Foods (Canada) officially opened its expanded Florenceville-Bristol French fry plant in New Brunswick on 19 October 2017. McCain Foods is a producer of French fries and other potato products. It invested $65m to the project, which represents the company’s largest investment in a Canadian plant in nearly ten years. 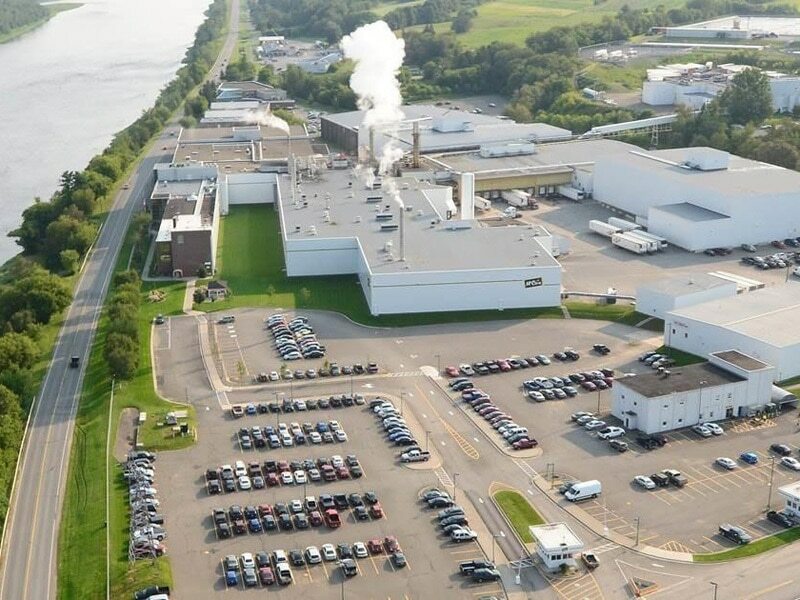 The expansion created more than 40 jobs and will allow McCain Foods to better serve its retail and foodservice customers in North America and export markets. A new 35,000ft² production line will manufacture hash brown potato patties and other speciality potato products using new equipment and technology. McCain Foods aims to procure approximately 4,000 acres of locally grown potatoes for the new line. McCain Foods first opened a frozen French fry plant in Florenceville, New Brunswick, in February 1957 with a workforce of 30 people. In June 2006, the company began expanding and upgrading the plant with an investment of C$70m (approximately $62.8m) to provide greater efficiency. The old facility was initially replaced in 2008 by a refurbished and expanded plant. An official opening ceremony took place in September 2008. The existing facility has two industrial boilers, a Foster Wheeler boiler and a Volcano Watertube Packaged boiler. It also houses a variety of ancillary equipment, including mixers, peelers, cookers, ovens, fryers, packaging equipment and freezer tunnels. 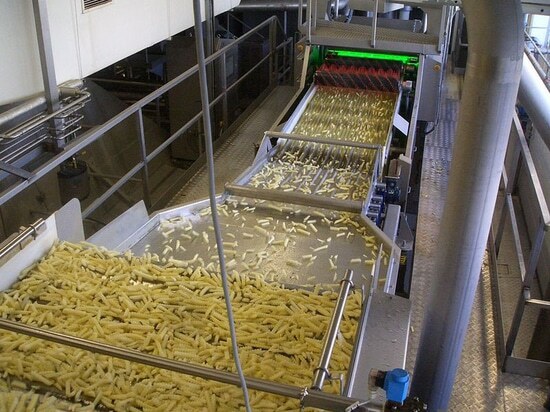 Its production capacity is 33,000lb of French fries an hour. In addition, the plant is capable of producing 12,240 pizza pockets an hour and roughly 4,600 cakes an hour. At the new Florenceville facility, raw potatoes are sorted and steam-peeled in pressure vessels, before being cut into suitably sized strips. Once cut, the strips are fried, blanched, dried and sent to the freezer. 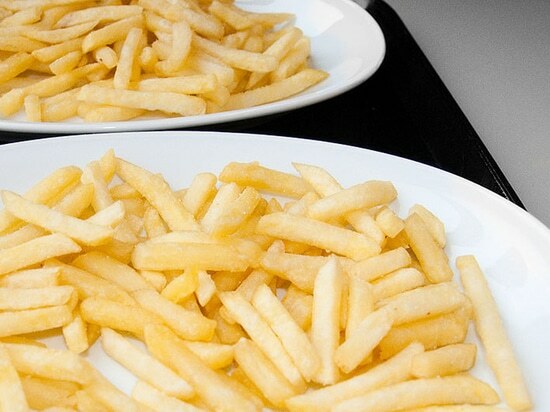 The fries are then packed and stored in a cold storage warehouse before being distributed. Classified as Class 1B, the plant will be operated to meet the Air Quality Regulation 97-133. Air quality approval was renewed by the New Brunswick Department of Environment and Local Government on 1 March 2016. Potential air quality impacts of the facility include noise, odour emissions and combustion gas emissions such as sulphur dioxide (SO2), nitrogen oxides (NOX) and particulate matter. The plant’s boilers burn a combination of No. 2 fuel oil, natural gas and biogas, which is produced from the plant’s anaerobic digester by converting potato waste. The stacks serving the two boilers produce flue gas. The Florenceville-Bristol plant is claimed to consume low amounts of energy and water.